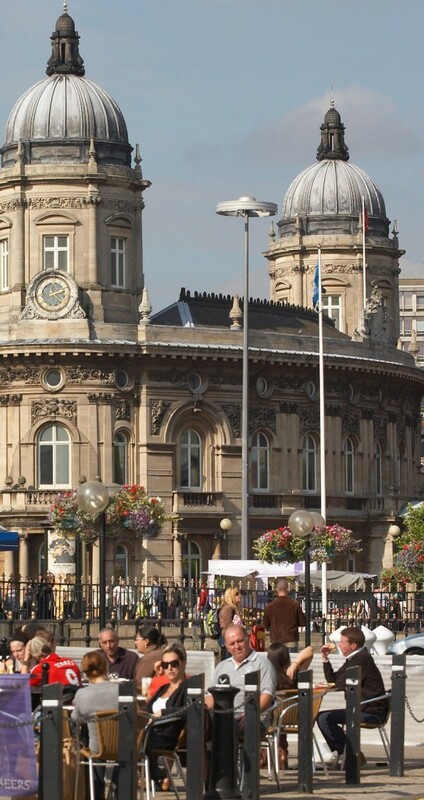 Hull and the surrounding area offers an impressive range of housing choices. We hope to reflect this diversity in the portfolio of properties available to rent. Find below a description of some of these areas. City Centre Living offers a mixture of apartments in historic buildings or sparkling new builds of Victoria Dock and the Marina. Both are suitable for families or the young professional. Avenues Living just a stones throw from the city centre are the leafy Victorian avenues of Park, Westbourne, Victoria and Marlborough. These large traditional houses offer family homes with all local amenities on your door step. Young professionals can also afford to live in this bohemian buzzing area as many properties have also been turned into apartments and flats. Princess Avenue and Newland Avenue are now boasting some of Hull’s top restaurants like the fabulous café bars Zest, Pave and Dukes to name but a few of our personal favourites. Life is certainly never dull in Hull. Surrounding Villages beyond city life lie unspoilt villages such as Kirkella, Swanland, Ferriby, Willerby and Hessle and not forgetting the elegant market town of Beverley. All villages are within quick easy access for Hull. Commuters can enjoy good access via the M62 to West Yorkshire, Leeds and Manchester. The City boasts excellent rail links. Hull to London takes approx 2.5 hours via Hull Trains.